OMG!!! The Inaugural Fall Exposure League started with a bang. Top Talent! Great Competition! Action Packed! Spectators at the league should not have been disappointed. Two college programs were in the place checking out the talent Southwest Tennessee Community College and North Alabama. 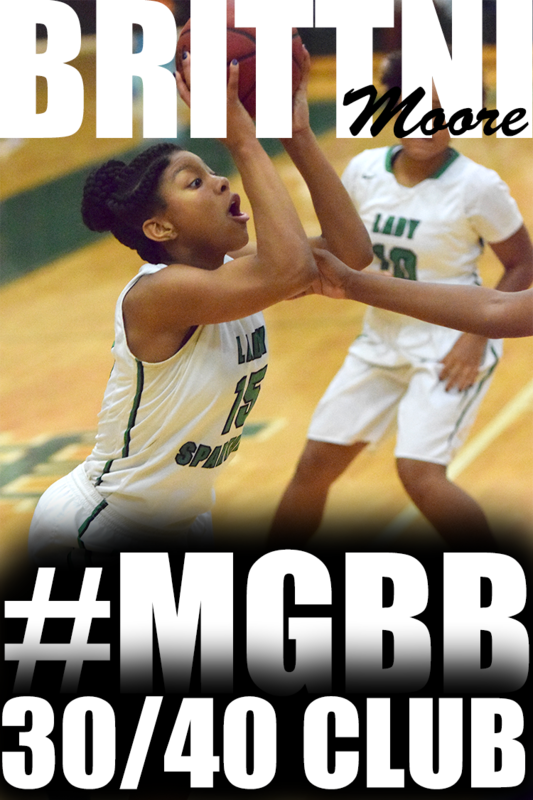 If you do not know who Timmia Sanders (White Station/Memphis Lady Magic) is, remember the name. 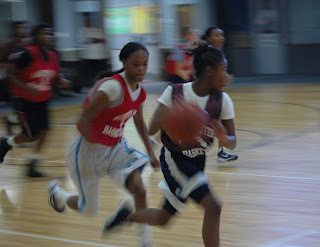 This lefty sophomore guard registered 5 minutes before tip off of the first game and she came through the door shooting. 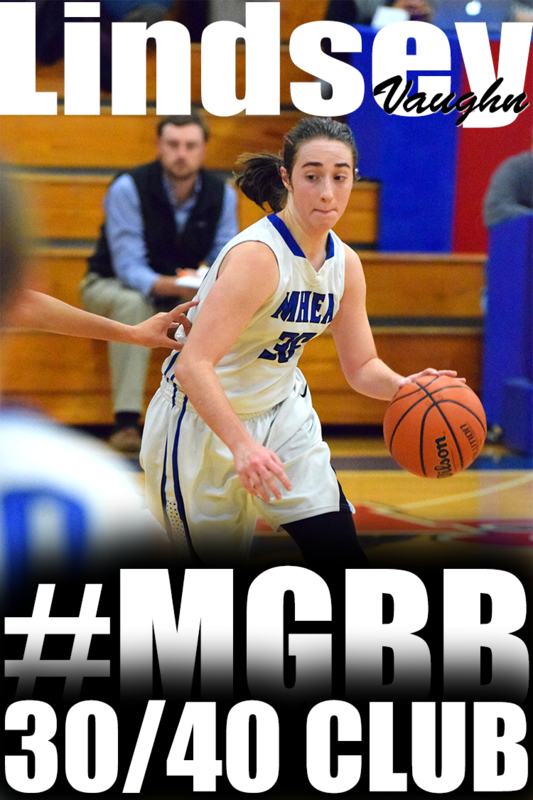 This aggressive scorer lead this week in points with 27 off of 12 of 23 shooting and 3 of 11 from behind the arch. 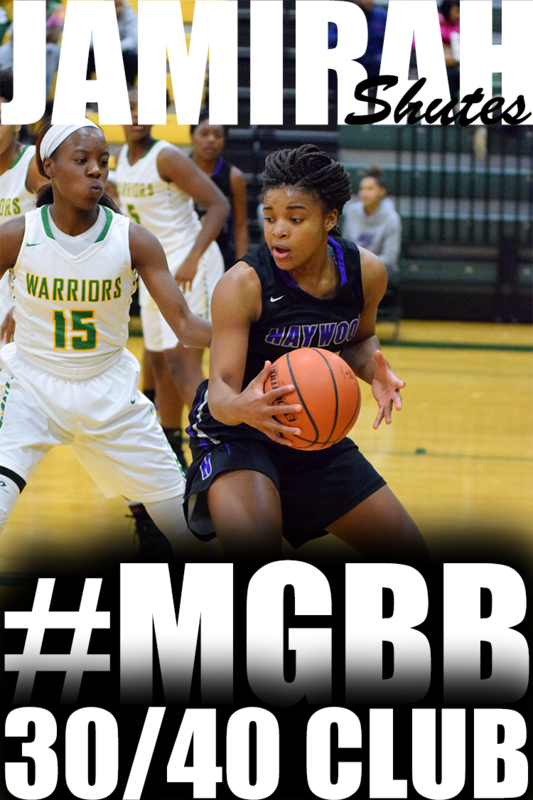 Look for her to be a big contributor at White Station this season. 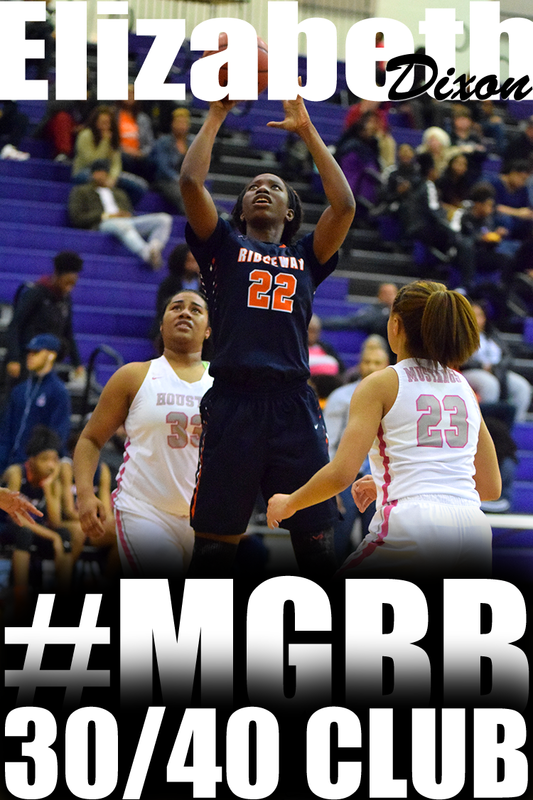 Junior point guard Ayanna Muhammad (Ridgeway/Memphis Elite - Daniels) put up 14 points and displayed her quickness to the basket and 3 point shooting abilities. Shooting 2 for 3 from behind the 3 point line. Mississippi represented today. 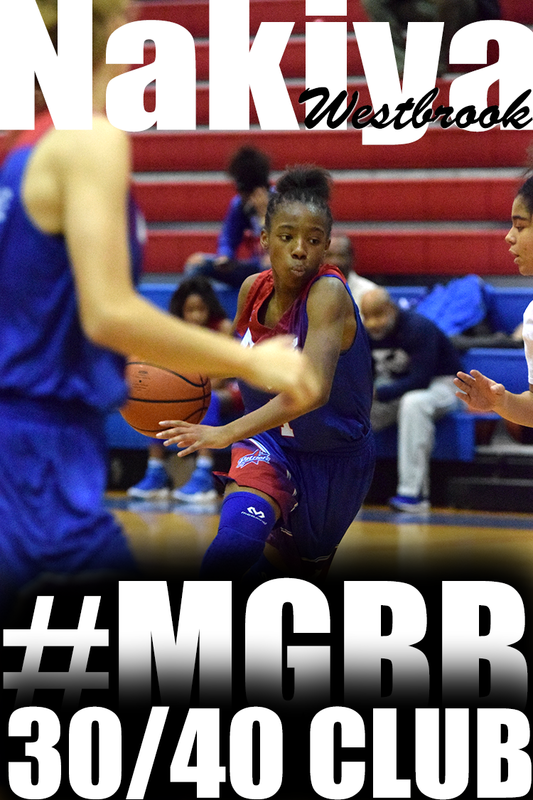 Southaven's junior post Aliyah Miller (Memphis Elite-Wade) is like a grasshopper. She is so light on her feet and quick to the basket. 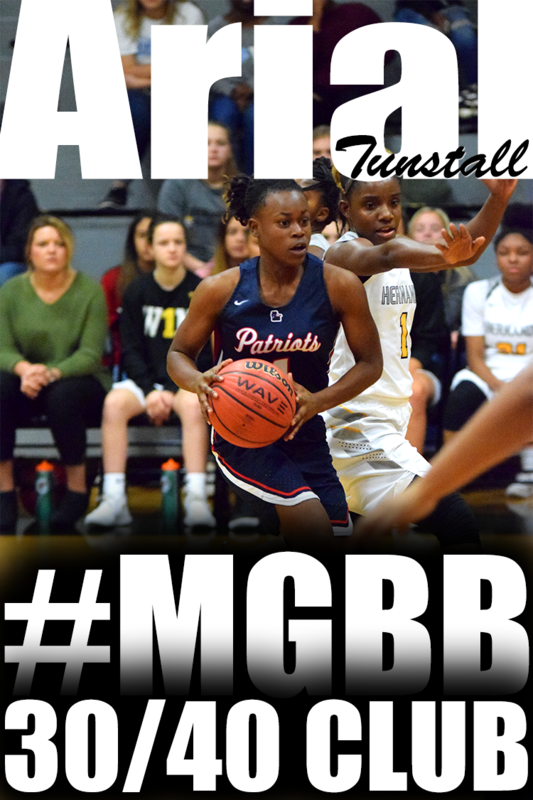 She has to be a defensive nightmare because of her agile abilities and it showed because she got to the free throw line 9 times and completed 4. She finished with 8 points. 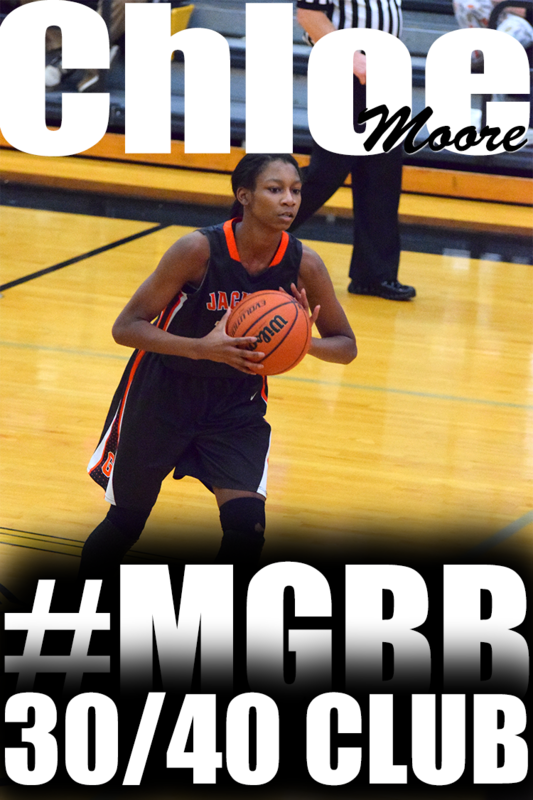 Southaven has another player that put up a show today, junior guard JoAnne Smith (N.M.B. Hoop Dreams). Athletic is an understatement and she can handle the basketball and shoot. She finished with 11 points. 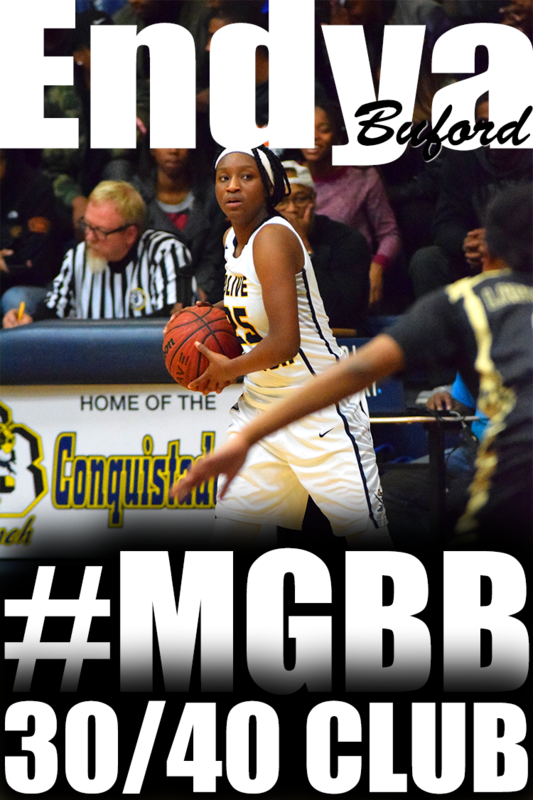 Bolivar junior point guard Shunice Herron (Memphis Lady Bobcats Platinum) always impresses me when I watch her play. She is such an aggressive player. 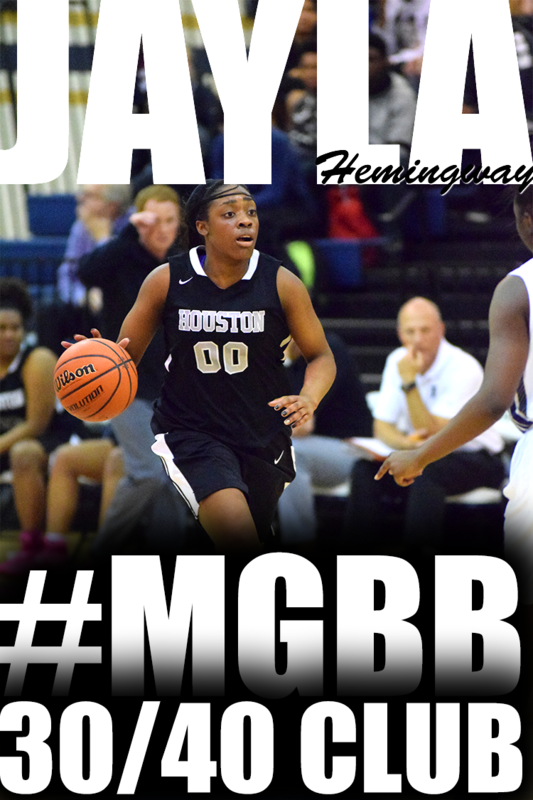 She is a distributor first but can score if needed, especially behind the 3 point line. 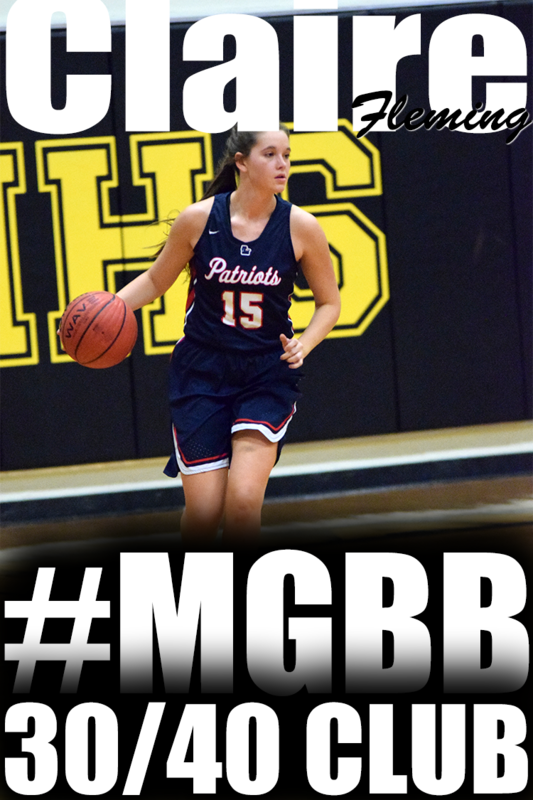 Speaking of distributors, senior point guard Sam McColgan (Briarcrest/Memphis Lady Bobcats Platinum) is a solid point guard. She is small in statue and uses that to her advantage. If she sees an opening to the rack, she will get through it and find team mates. 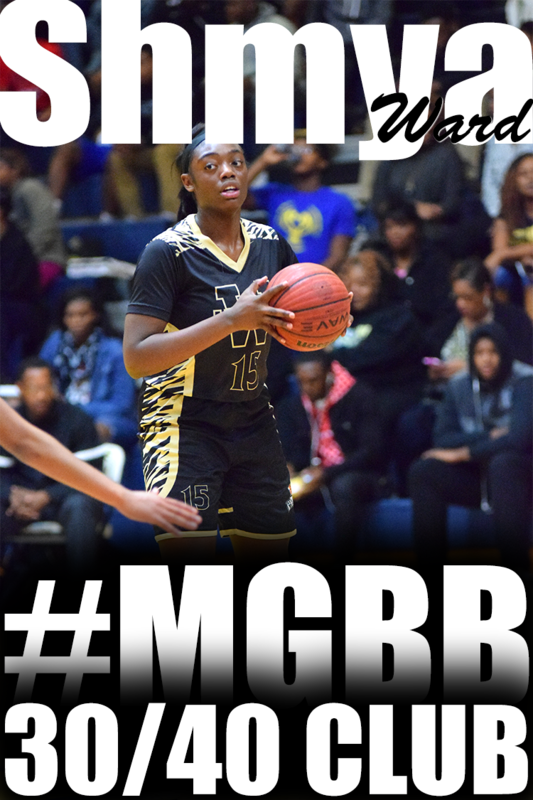 I can not leave out the shock blocking machines, senior post Jalyn Burkett (White Station/Memphis Bobcats-Select) listed at 6'1 and with a long reach, does not let anything near her go up without her deflecting it. She pretty much owned the paint. 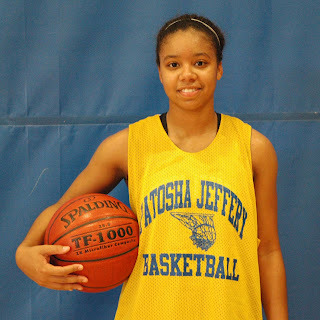 6'2 Chyna Ellis (Arlington/TEAM Tennessee Glory) sophomore post is long and lean. She rebounds and blocks and when she gets stronger will be dangerous. She scored 10 points. void left by Bianca once she graduates. 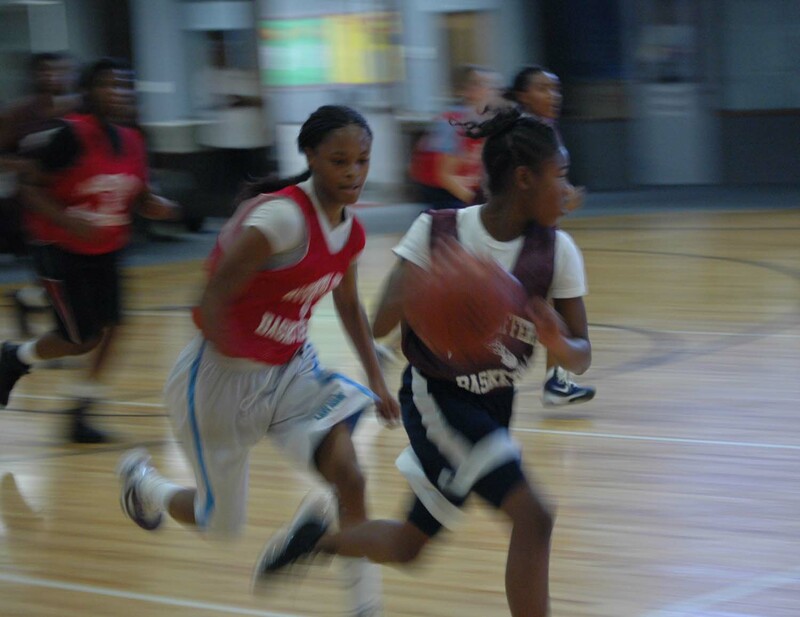 Guard Breanna Bullock (White Station) is the only 7th grader participating in the league. She was extended a special invitation to play. 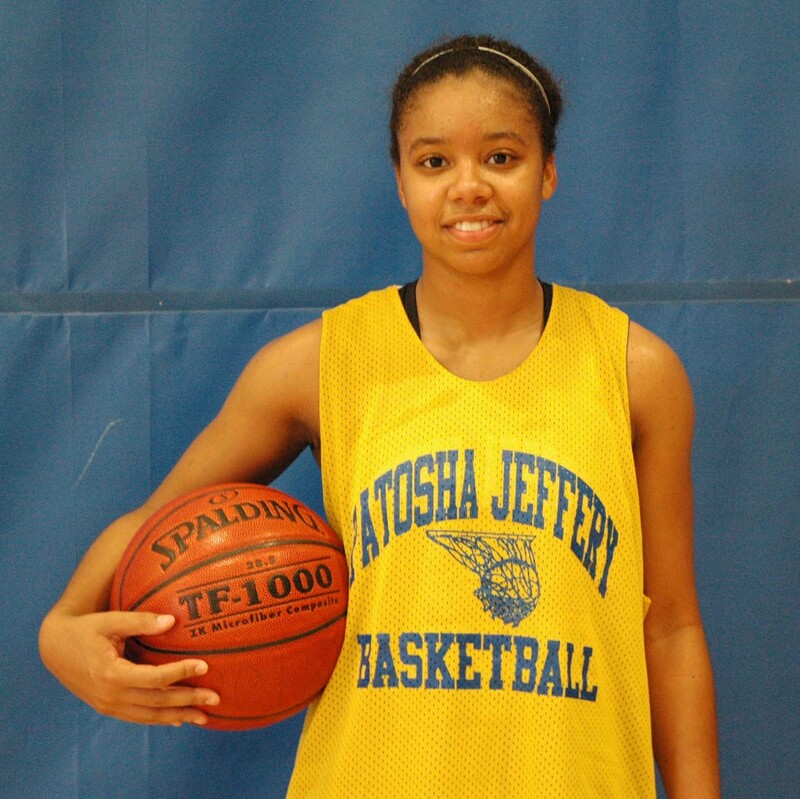 Although small, she is highly skilled with handles and shooting abilities, which was displayed today. Her team mates welcomed her with open arms and she scored 4 points in her debut, shooting 1 for 2 from the free throw line and 1 for 2 from behind the arch.